The general neighborhood and zip code location of short term rentals (including type) across Austin, TX. Lots of citizens have expressed interest in maintaining privacy of their exact address for safety reasons. So, keeping safety in mind, we've remove the specific address, but have included the street name and zip code. For more information, concerned parties can pursue a public information request: public.information@austintexas.gov. FYI: your request will not be considered received unless it is sent to the proper address. This 2013 dataset includes information at the block group-level for the 5-county Austin metro area. Economic, educational, housing, mobility, and environmental indicators are calculated for each block group to provide a comprehensive opportunity index score. This score reflects "opportunity" in the area, defined as a situation or condition that places individuals in a position to be more likely to succeed or excel. This data was collected and calculated by the Kirwan Institute, with collaboration from Green Doors and various community partners, and is compiled in "Geography of Opportunity in Austin" (http://www.greendoors.org/programs/docs/Geography-of-Opportunity-Austin-2013.pdf#page=43). The data can be viewed in an interactive map form here: http://www.arcgis.com/home/webmap/viewer.html?webmap=5db08646b03547abab85aec0a3592fb7. The data is also available in shapefile format for use in ESRI GIS mapping applications here: https://data.austintexas.gov/Neighborhood/Kirwin-Opportunity-Map/3ns6-m3cy. This map seeks to demonstrate relative economic mobility in Austin and was created by the Kirwan Institute in 2013. File is downloadable for use in ESRI/GIS programs. To view this data on ArcGIS online the source link is provided below. "This product is for informational purposes only. This product has been produced by the Kirwan Institute for the sole purpose of geographic reference.  No warranty is made by the City of Austin regarding specific accuracy or completeness." This dataset contains more detailed information on the recommendations and resolutions identified by the Office of the City Auditor in their special request report on gentrification and displacement. Clearly and immediately impacts the population experiencing gentrification and displacement (e.g., creation of affordable housing units). An initiative designed to support direct efforts (such as monitoring or increasing funding for staffing). Alternatively, an indirect initiative may be one that is designed to affect the broad population (e.g., overall tax decrease), or the language is so vague or broad that the precise intention is unclear. Recommendations that are specific and implementable as written; recommendations that detail the specific site of an action. Things that do not appear to be legal; recommendations that are not implementable as worded or that would require significant additional clarification/research.